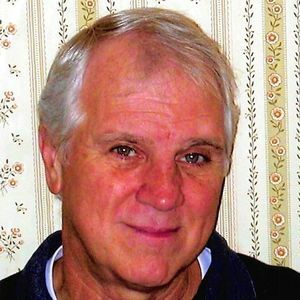 John Cermanski of Pelham Manor New York passed away on Thursday March 21st 2019. He was 72 years old. John was born in Norristown, PA to John and Nancy (Ann) Cermanski. He was raised in West Conshohocken, PA where he attended St. Gertude Catholic Elementary School and Upper Merion High School before graduating from Bloomsburg University with a degree in Political Science. While in school John was a Boy Scout and an undefeated wrestler. John was an outgoing individual who loved spending time with and helping people. After graduating college he worked as a salesperson for various tool companies. In 1993, John joined Marine & Industrial Hydraulics, Inc. / Trident Actuators, where he was a highly valued and respected colleague and had an extraordinarily successful twenty-six year career becoming General Manager of the company. It was during his years as a tool manufacture Sales Representative and during those years he would meet his wife of 44 years Ella Schulz. They would meet in Long Island and marry at St. John of God R.C. in Central Islip. The couple lived in New Rochelle before moving to Pelham Manor in 1980. John was a very active volunteer. He was a member of the Pelham Manor Volunteer Fire Department, a member of the Pelham Civics, a volunteer coach for Pelham Little League and Huguenot Hoops and a member of the Mens Club in Pelham. He will be remembered as a loving man who enjoyed caring for people, especially his family. He will also be remembered as a person who was committed and never gave up no matter what the situation was. John leaves behind his wife Ella Cermanski, his children John and Molly. He will be missed by his siblings Kathi, Robert and David and his Maltese Abby. He is predeceased by his parents, his brother Michael and his sister Patricia. He will be missed by his many friends, customers and everyone whose life he touched. 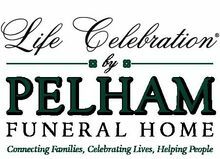 A Celebration of Johns life will take place at the Pelham Funeral Home located at 64 Lincoln Avenue, Pelham NY on Tuesday, March March 26th from 4:00 PM to 8:00 PM. A Mass of Christian Burial will take place at Our Lady of Perpetual Help Church on Wednesday March 27th at 10:00am. Interment will be private. In Lieu of flowers donations may be made in Johns memory to the Pelham Manor Volunteer Fire Company, 1090 Clay Ave, Pelham Manor, NY 10803.. For more information or to leave a condolence please visit www.pelhamfuneral.com.